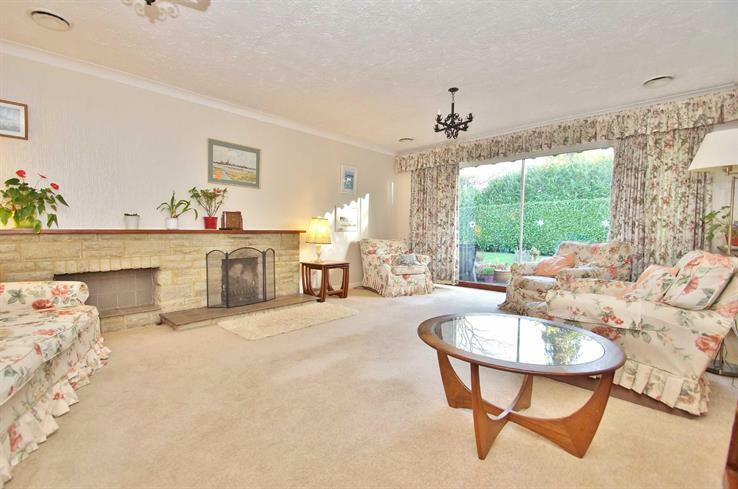 A well designed, detached bungalow with 3 double bedrooms and consistently spacious rooms. South backing garden secluded to both front and rear. Approximately half a mile of the shopping centre. Gas fired central heating. Double glazed windows, Part air conditioning. Requiring some modernisation. No onward chain. Telephone point. Boiler cupboard with Vaillant wall mounted gas fired boiler and foam lagged hot tank. Airing cupboard. Trap to roof space with aluminium retractable ladder. Sliding patio doors. Stone type fireplace with gas coal effect fire and display inset. Television aerial and telephone point. Coved ceiling. Oak finish panel door cupboards and laminate worktops, stainless steel inset twin bowl sink and drainer with mixer tap. 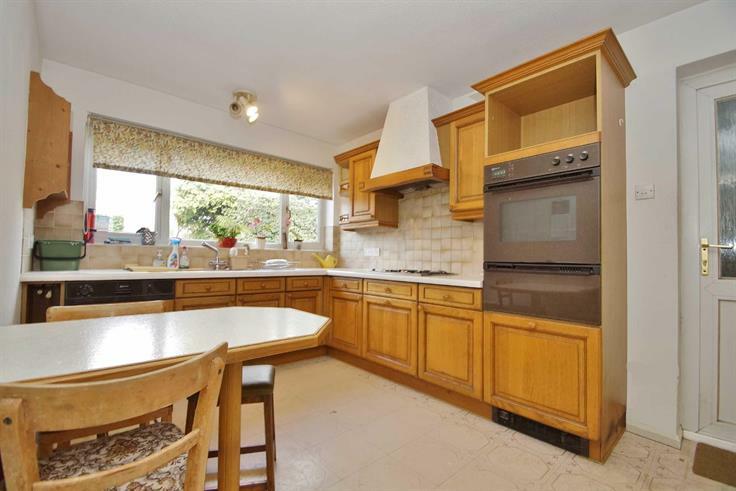 Integrated split level oven and grill and gas/electric hob with extractor over, dishwasher, freezer and washing machine. Extensive range of base and wall cupboards. Matching table. 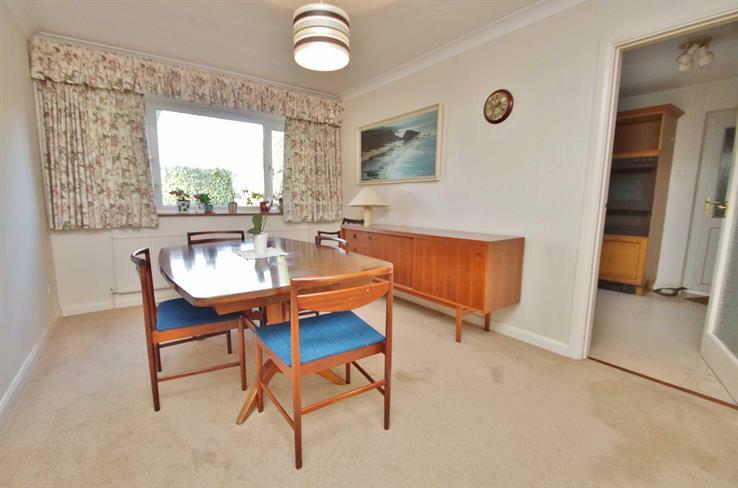 This room could be combined with the adjoining dining room. Eight door wardrobe cupboards, coved ceiling. Shower, vanity basin with drawers below, low level wc, radiator. 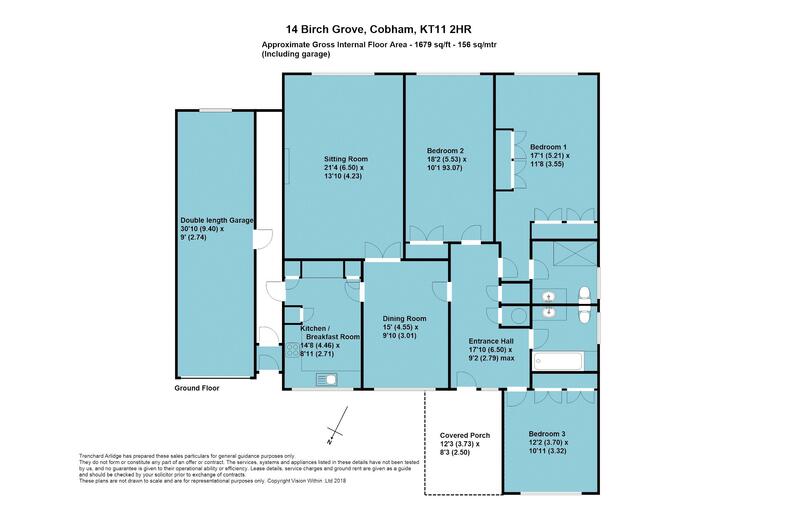 Double built in wardrobe cupboards additional tomeasurement, television and telephone points. Blue suite comprising panel bath, vanity basin with drawer unit, low level wc. Remote roller door and personal door. Electricity circuit breakers and meter. Gas meter. Electric light and power. Tarmac driveway, lawn, high laurel hedge to front boundary. boundary. Established variety of shrubs. External power point and tap.